Classes for FIA specification cars, a dedicated Porsche Challenge Cup, a fresh calendar and the chance to race for an entry fee of just £99 are key evolutions for the Historic Road Sports category in 2019. The Historic Sports Car Club’s Historic Road Sports Championship is for production sports and GT cars built and registered between 1947 and 1969. The grids are always strong, with cars ranging from TVRs to Lotuses, MGs, Ginettas and Turners. It can trace its roots back to 1981 and the first HSCC Road Sports Championship. For 2019, the HRS regulations have been opened up to welcome FIA-specification cars. This will allow any competitor with an FIA car (for HRS classes B, D, E and F) to race in the championship as a full member and score championship points without making any changes to their car. Cars in classes A and C will need to comply with existing HRS regulations. 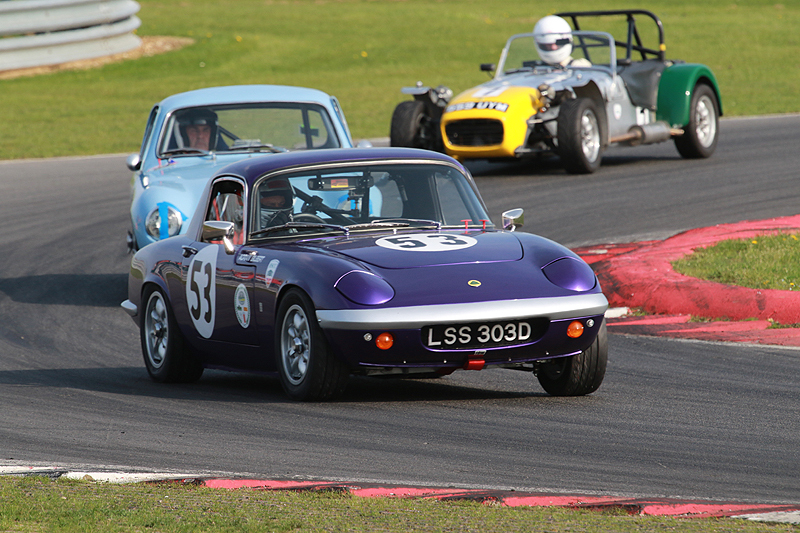 A new initiative from the HSCC will offer drivers the chance to tackle Historic Road Sports races for an entry fee of just £99. Any drivers in eligible cars who have already entered the Guards Trophy race on the same weekend, and in the same car, will be able to add the HRS race for only £99. Meanwhile, there will be a dedicated trophy for the highest-placed performance in a Porsche. Finally, a major overhaul of the calendar and race format has been done following consultation with competitors. Race distances will range from 20-minute sprints to 30-minute single driver and 40-minute two driver races featuring mandatory pit stops. A first visit to Anglesey, in mid-July, will be on the calendar along with races on the Grand Prix circuits at Silverstone and Brands Hatch and a visit to Spa-Francorchamps in September.